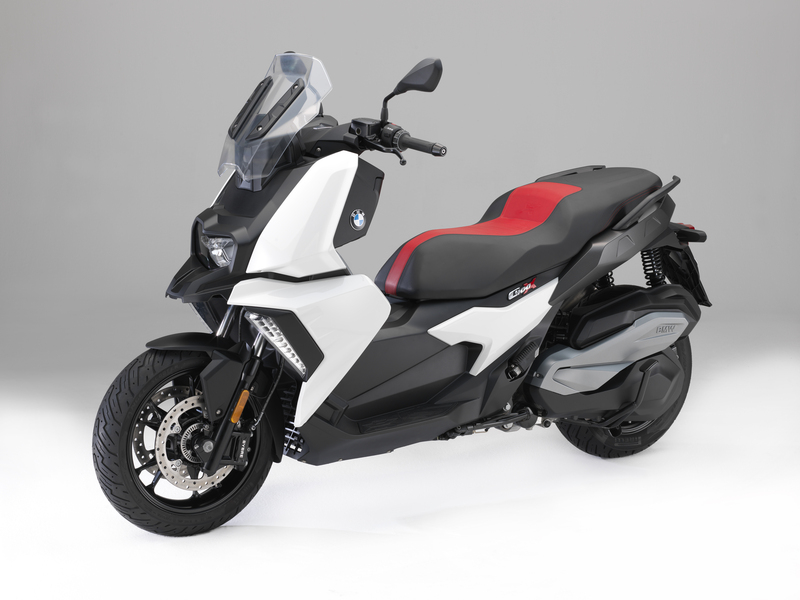 After the maxi scooters C600Sport and C650GT, BMW now takes another step in the direction of urban mobility and brings to market a new premium vehicle for the midsize scooter segment: the C400X. This scooter will manoeuvre its rider through the urban traffic chaos fast and flexibly and offers great riding pleasure at the same time. This is made possible by a powerful, efficiency-optimised single-cylinder engine combined with CVT transmission, vibration decoupling and automatic stability control (ASC). The engine of the C400X has a power output of 34 hp (25 kW) at 7.500 rpm. The scooter is built on a robust tubular steel frame. For suspension and damping, a telescopic fork is used in the front and two spring struts are included in the back. ABS as standard in combination with the twin disc brake at the front and the single disc brake at the rear offers a superior brake performance. The new C400X has LED lighting technology as standard. 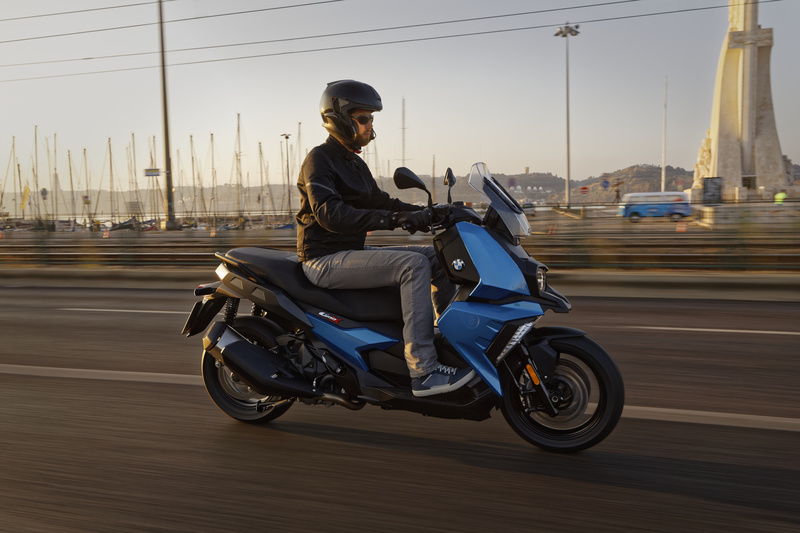 When it comes to connectivity, the scooter also has some highlights which are available as optional equipment, like for example a multifunctional instrument cluster with 6.5?inch full-colour TFT screen. 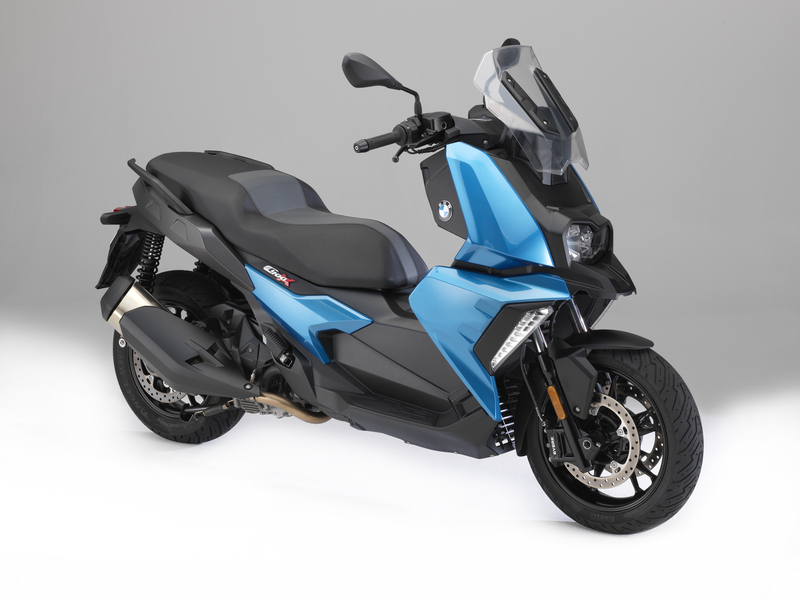 This, in conjunction with the BMW Motorrad Multi-Controller, allows the rider to access vehicle and connectivity functions quickly and without being distracted from the road. Thanks to its iconically styled LED headlight, the C400X clearly sets itself apart from its competitors and achieves a sporty and dynamic look. 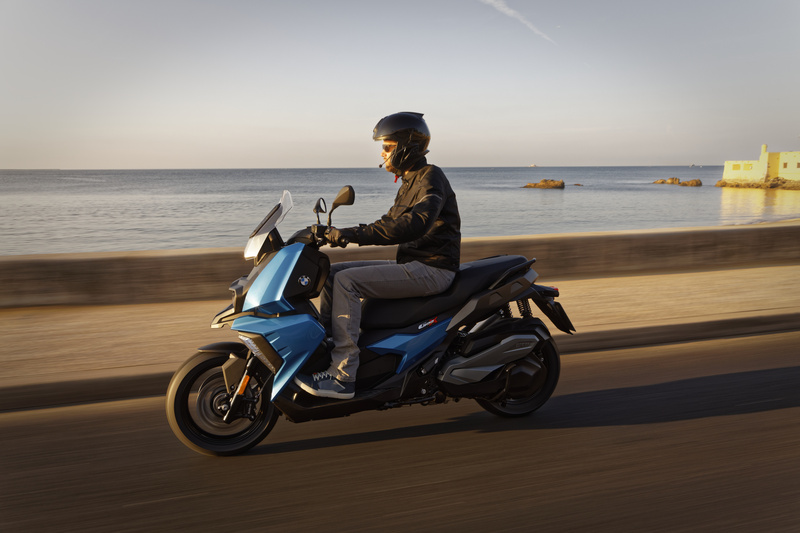 The modern, innovative design of the scooter also includes the best possible wind protection and a carefully conceived storage concept, which makes the C400X the best choice when it comes to everyday practicality and touring suitability. The innovative appearance of the scooter is complemented by two attractive paint finishes. In Zenith Blue metallic, the C400X unfolds its sportiness and dynamics and appears very modern. In Alpine White non-metallic, the scooter appears very technical, compact and light.